L Company, 358th Infantry, 90th Division. Click here for more information. Which Way is the Enemy? 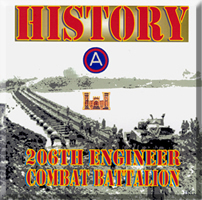 Keith has finished putting together a comprehensive 232 page history of his father's unit, the 206th Engineer Combat Battalion complete with maps and photographs. The "History, 206th Engineer Combat Battalion" was compiled and dedicated in memory of his father, Captain John Gilmer Graham (1918-1973), Combat Engineer. He and the men of the 206th experienced the Normandy invasion – landing on Utah Beach on 27 June 1944; the fighting and break-out in the hedgerow country of Normandy; General Patton’s Third U.S. Army dash across France; bridging and ferrying across the Seine, Moselle, Saar, Main and other rivers; breaching the Siegfried Line; the drive into Germany; and ending the war in Linz, Austria. 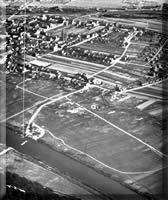 The 206th was also involved in assault crossings of the Moselle River in November 1944. 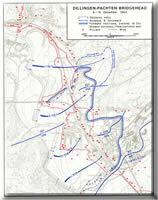 The 206th put the 359th Infantry Regiment of the 90th Infantry Division across the Moselle during those operations. The Monthly After-Action Report of the 206th for November 1944 talks about the flooding that was occurring during that operation. 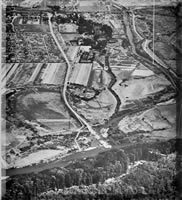 On 6 Dec 44, Company C of the 206th put the 1st and 2nd Battalions of the 358th across the Saar River by assault to establish a bridgehead at Dillingen. Company B of the 206th put the 3rd Battalion of the 358th across. © SavingPrivateSheridan.com 2009. All rights reserved.